Platform wars, simulator sickness and exclusivity deals threaten to tear VR apart. After years of being teased with prototypes, developer kits and tech demos, it's finally happening: Virtual reality is on the cusp of going mainstream. Need evidence? Just look at the events of E3 2016. Over the past week, the first VR headset for a home console got a release date, and we caught a glimpse of virtual reality games from popular franchises like Star Wars, Final Fantasy and Batman. Better still, pretty much every major player in the industry (save for Nintendo) promised to support VR in 2017. On the surface, things are looking amazing. Dig a little deeper, though, and the situation just might be terrible. Don't misunderstand me: The VR announcements at E3 are a good indicator that consumer virtual reality is about to go mainstream. In a broad sense, that's fantastic -- but the details are a little worrying. Take Sony, for instance. At E3, we learned that the PlayStation VR headset would be available in October, and that early adopters would have as many as 50 games to choose from by the end of the year. Unfortunately, we also learned that some of those games might make you sick. Even players who've spent countless hours in virtual reality (like our own Jess Conditt) found themselves on the verge of puking while playing Resident Evil 7: Biohazard -- and it wasn't because of the horror game's gory visuals, either. No, it's that the game is pushing the limits of PlayStation's hardware, barely managing to run at the minimum 60 frames per second required for PSVR. The problem? Every other VR headset on the market recommends that games run at a minimum of 90 fps. By having such a low bar for entry, Sony is allowing PlayStation VR developers to create games that flirt with simulator sickness. Combined with the fact that the demo's controls allowed players to move their head with the gamepad, and the title is a nauseous mess. Resident Evil 7 will probably improve its frame rate and controls before hitting the consumer market, but giving it the option not to be better sets a dangerous precedent: If the first console VR games to hit the market make players sick, that could severely damage public perception of virtual reality gaming in general. 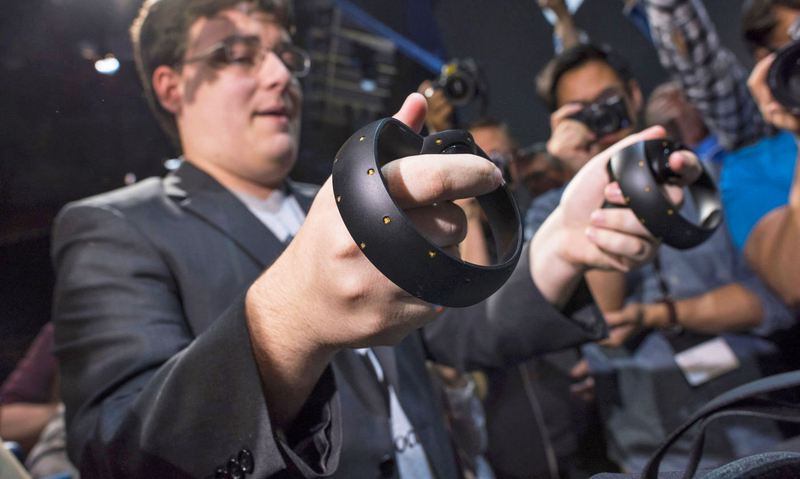 Oculus VR's Palmer Luckey warned about this exact scenario two years ago. "When [VR] arrives, it has to be good," he told me in 2014. "Really bad VR is the only thing that can kill off VR," he said. Maybe that's why Microsoft is holding off on offering VR to Xbox users until the arrival of its Project Scorpio -- an upgraded version of its console designed specifically for virtual reality and 4K content. Sony's own PlayStation Neo will probably help with low frame rates, too, but Sony has also promised that all future games will run on today's PS4 hardware. That means it's possible that consumers will be exposed to nausea-inducing frame rates. That's bad for everyone. Palmer Luckey may be right about simulator sickness, but Oculus VR isn't off the hook when it comes to poisoning the well. The company spent much of E3 under fire for supposedly buying out multiplatform virtual reality games in order to make them exclusive to the Oculus Rift. Games like Superhot and Killing Floor: Incursion won't be available to HTC Vive owners for a limited period of time after release, while others, like Ripcoil and Wilson's Heart, are first-party Oculus titles that will never be available to Vive owners. Nobody blinks when Sony announces an exclusive PlayStation game, but for the Vive and Rift's platform, this is completely unprecedented. Until now, there was no such thing as a hardware-exclusive PC game. To be fair, the accusations against Oculus are only partially true: Oculus is buying timed exclusivity in exchange for helping to fund a game's development. It's not actually taking games away from Vive owners; it's just delaying their delivery. Even so, that's never been done on PC before. Yes, game releases sometimes only sell on Valve's Steam platform, or EA's Origin, but players have never been barred from playing them because their PC wasn't outfitted with a specific brand of component. If a PC was capable of running a game, it was allowed to play a game. That's not the case with software sold through the Oculus store; if you own any other PC VR headset besides a Rift, you're out of luck. Even if that same VR title is available on Steam, without hardware restrictions. This directly contradicts statements made by Oculus' own founder: "The software we create through Oculus Studios are exclusive to the Oculus platform, not the Rift." That sounds diplomatic and fair, but the fact of the matter is that everything on the Oculus store lists the either the Rift or GearVR as its "platform." If you don't have Oculus hardware, you're not going to be able to play anything. The only way to play an Oculus game on the Vive is to use a hack that bypasses the hardware check -- except that tool, named Revive, was shut down by Oculus for stripping games of their DRM. 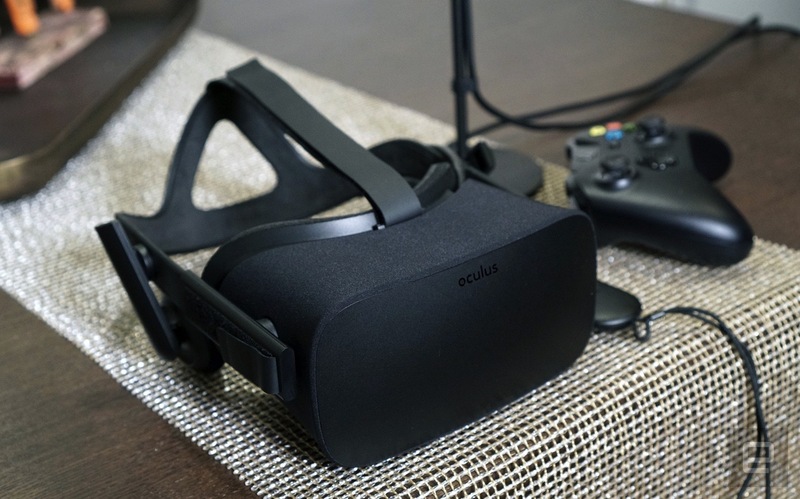 It was the right business move for Oculus VR, which has a responsibility to protect its assets, but the move clearly drew a line in the sand: Play these games on Oculus hardware, or don't play them at all. From a business perspective, Oculus has every right to lock the software sold in its store to its own hardware -- but the practice is still disappointing. It's expected that console VR market will fall in line with the console wars that define their marketplace, but that's not something that's ever existed in the PC market. By locking all software on the Oculus store to a specific brand of VR headsets, Oculus is declaring a platform war in a space that has been at relative peace for decades. That's not just bad for the burgeoning VR market; it's bad for PC gaming in general. 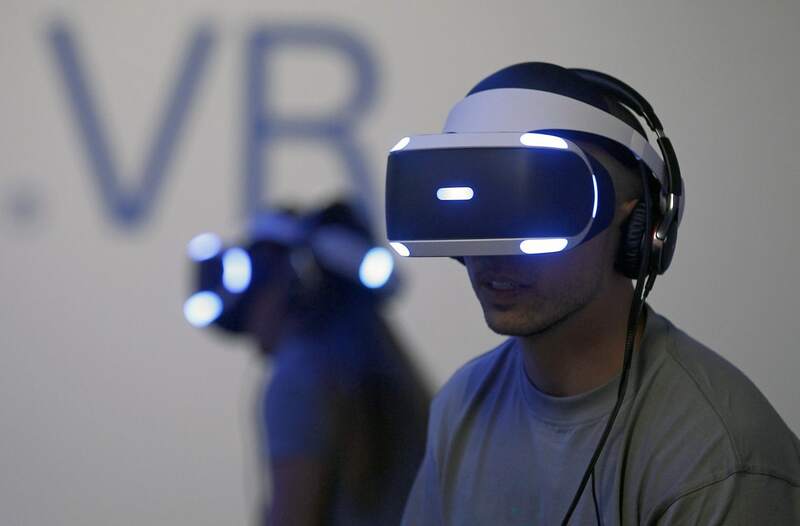 In the broader sense, however, things are still looking bright for the future of consumer VR. A major player in the consumer gaming space is releasing a mainstream headset, and another is building a console just to serve the market. Oculus' immersive Touch controllers are getting prepped for launch, and there are a ton of great-looking games on the horizon -- but a fractured PC market and a headset that makes people puke could stifle the growth VR needs to make it big. Maybe Nintendo is right to sit out of VR's first consumer generation. Sometimes, the only winning move is not to play.